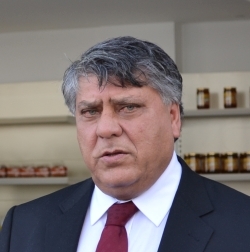 Economy and Energy Minister Sunat Atun expressed that the sole remedy of South Cyprus is to introduce the gas they will obtain into the market via Turkey, and added that they want the trade borders between North and South Cyprus to be removed. comes to a deadlock because of the narrowing in the Euro zone, Atun pointed out that Greek Cypriots can overcome the problem if they co-operate with Turkish Cypriots and Turkey. 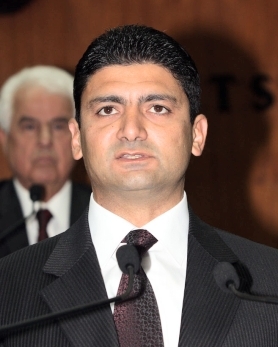 Atun stated that they side with the removing of trade borders between North and South Cyprus and emphasized that South Cyprus can develop its economic area. “Because first the gas they possess should be liquidized, then it should be processed in another facility and become usable. Now to do this in the existing position is impossible for them. The gas obtained is not in satisfying quantity for making the investments possible. The sole remedy for them is to introduce the gas to be obtained into the market via Turkey by connecting to Turkey with pipelines. The negative and hostile attitudes made by South Cyprus until today kept an important window closed. 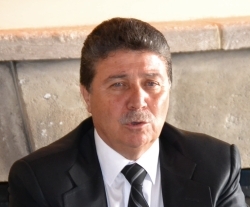 Mayor of Keşan Dr. Mehmet Özcan, TRNC President Derviş Eroğlu stated that the Turkish Cypriot side is working to find a lasting solution to the Cyprus problem which will safeguard the interests of the Turkish Cypriot people and Turkey. Underlining his pleasure for welcoming martyrs who struggled together with the Turkish Cypriot people in 1974, the President pointed out that all efforts to reach a comprehensive settlement have failed due to the Greek Cypriot side’s intransigent attitude, however they are happy to see that the world has started to acknowledge the realities and see the reality that there are two states on the island. 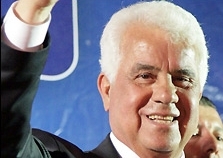 President Eroğlu has said that once the Cyprus negotiations restart, whether or not an agreement can be reached, will depend on the attitude of the Greek Cypriot side but the Turkish Cypriot side will continue to make efforts for a comprehensive solution. Ali Çetin Amcaoğlu participated in the 10th United Nations Forum on Forests hosted in Istanbul. The TRNC Minister for Agriculture and Natural Resources, Ali Cetin Amcaoğlu, and the Turkish Minister for Forestry and Water Works, Veysel Eroğlu, made the opening of the fair which is taking place in İstanbul Lütfi Kırdar Congress Center. Rocks Hotel has taken a place in the list of “Best Hotels of 2012” as it has increased its excellent rate of service to 4.5 by the votes of one of the world’s biggest voyage site Tripadvisor members. completely independent of each other and the certificate was sent in February 2013. Congratulating the General Co-ordinator of Girne Rocks Hotel, Hasan Orek, the Minister of Tourism, Environment and Culture Unal Ustel stated that; “The certificate which is awarded by its customers makes proud for both Rocks Hotel family and North Cyprus”. The protocol which is to be signed between the Girne American University (GAU) and Kazakhstan Institute of Astrophysics with regard to the establishment of Astrophysics and Space Science Research Center was attempted to be prevented by the Greek Cypriots. ation of science which is in Kazakhstan with an official invitee in order to sign the protocol related to the establishment of Astrophysics and Space Science Research Center on Girne American University Cyprus Campus was faced with the ‘Greek Cypriot Trick’. 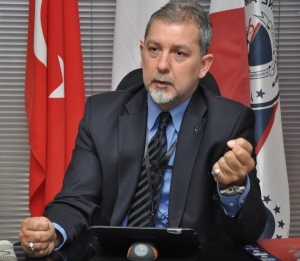 In the statement made by the GAU Founding Rector and Chairman of Board of Executives Serhat Akpınar, the external pressures and the ‘bad trick’ played on the universities of the country were condemned. It was stressed that GAU shall continue its will in terms of signing of important projects about the scientific production with international education institutions.